Karl Jobst, DDS offers his patients many cosmetic services, but few are as effective in the long-term as dental implants. These restorations are both one of the most natural-looking teeth replacements and one of the most functional. Grand Lake Dental offers dental implants in Grove and the surrounding communities. Learn more about what implants can do for your smile by contacting our dental office today for your consultation! The implant post is the first part of a dental implant to be added to the smile and serves as an artificial root. Our dentist surgically places the implant posts which support the rest of the restoration. He can also provide bone grafting surgery and sinus lifts; these procedures add more bone material to fully support the post’s placement. Once situated, the implant post fuses into the jaw bone over the course of a healing period. The titanium posts have the natural ability to integrate into bone tissue. This process, known as osseointegration, is why the implant post is able to serve effectively as an artificial tooth root. After the post finishes fusing into the jawbone, our implant dentist in Grove, Dr. Karl Jobst, adds the dental restoration. The implant restoration is the visible tooth, responsible for both the appearance of the smile and your ability to chew. As the cosmetic and functional end of the dental implant, the restoration needs to be made of a durable yet beautiful material. 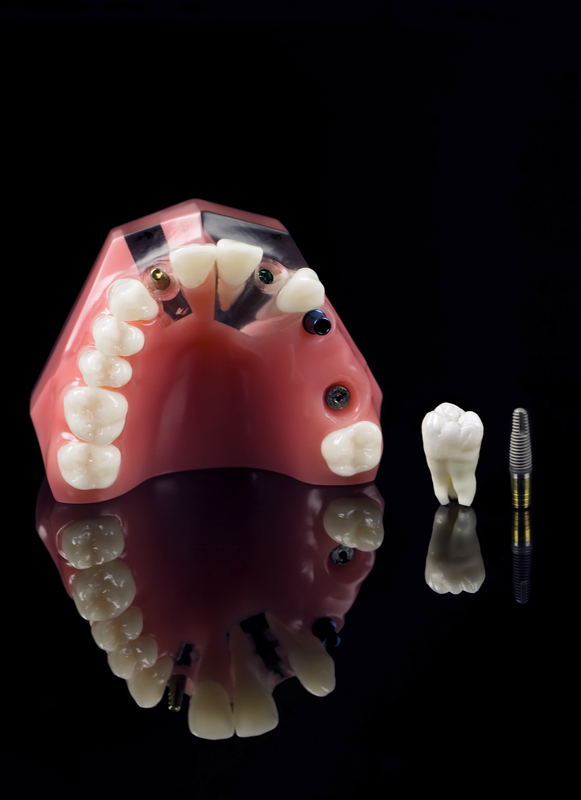 Dr. Jobst uses porcelain, the standard implant restoration material, to serve these purposes. Crowns and bridges made of porcelain match the color, sheen, and the feel of natural teeth while still being strong enough for daily use. For qualifying patients, we can extract a tooth and place the implant post within the same appointment. Adding implants right after a tooth is removed prevents the shrinking of the jaw bone and the need for bone grafting or sinus lifts. After placement, we add a temporary restoration to the implant post. These temporaries protect the site of placement while they heal. Once the post has fully integrated into the jaw and it has been fabricated, your permanent restoration replaces the temporary. 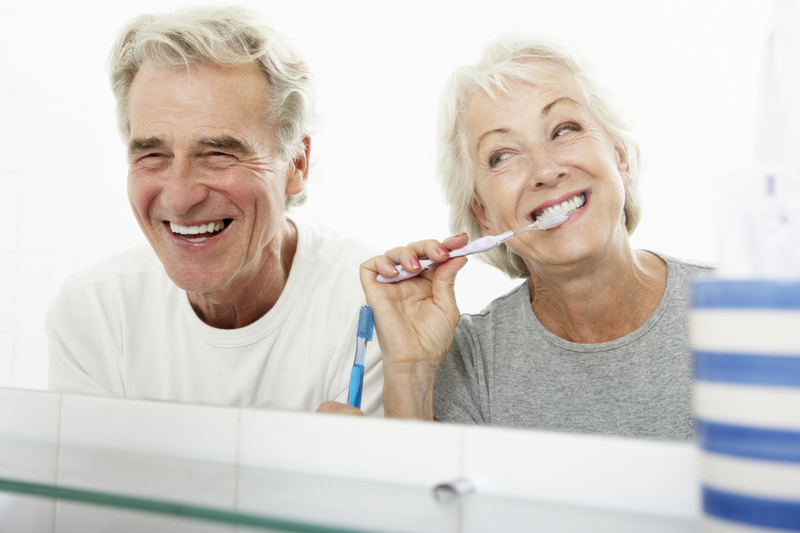 Grand Lake Dental in Grove helps restore missing teeth through the use of dental implants. For more information, call our practice today and schedule your next appointment!